Richard Van Wey believes that the Bachelor of Science in Leadership (BSL) degree will impact his life tremendously. 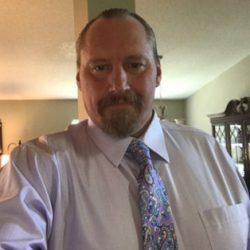 “After 22 years of active duty service and another 10 years as a contractor working closely with active duty military, it has been frustrating that I have been unable to effectively apply the leadership skills that were so important in the military to my civilian life,” states Richard. Due to deployments and family, he has not had time to continue his education. He believes pursuing his bachelors degree will be a challenge, but it’s an opportunity that he can’t pass up. Richard wishes to use the leadership skills he learned in the military to mentor those with less experience, as well as his colleagues. This positive attitude, combined with his authentic, hands-on approach, will allow Richard to make an impact that is felt beyond just himself. Trident University is proud to present Richard Van Wey with the Military Hero Scholarship. We believe Richard has demonstrated hero-like qualities and has contributed to the safety of this country. Now it’s his turn to pursue his dream and begin his academic success! Continue reading to learn more about Richard’s life in the military and educational goals. Trident: Who are some of the military heroes who have inspired you to achieve your goals? Richard Van Wey: The first person that actually comes to mind isn’t someone that you ever heard of. It was a young man a couple years younger than me. During the Khobar Towers incident, he was shaken up and afterwards also went on to further his education. More so it was his unwavering effort to be authentic and not let this thing get him down. Trident: You’ve told us how the degree would help you, but how will you use the degree and what you learn in class to help others?